The Toyota Yaris has been in the making for three years now. The development of the car first started in 2015 in India and there's a lot of research that's gone into it. 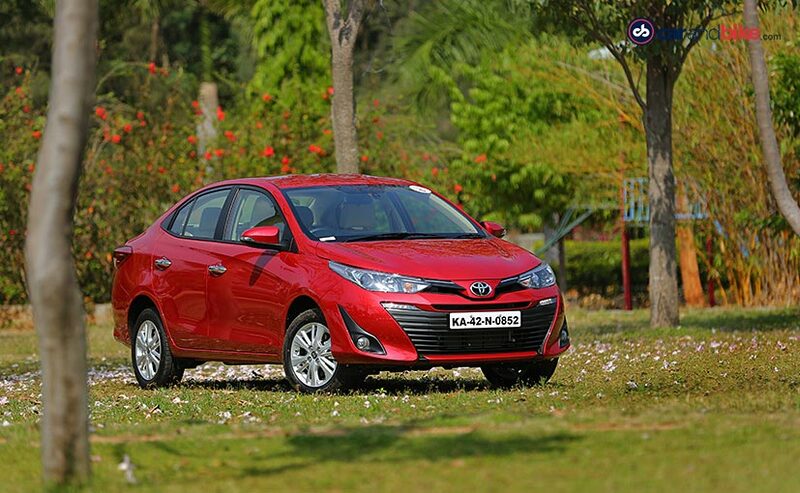 The Yaris is Toyota's first attempt at entering the highly contested compact sedan category in India and contends with seasoned players like the Maruti Suzuki Ciaz, Hyundai Verna, Honda City, Skoda Rapid and the Volkswagen Vento. 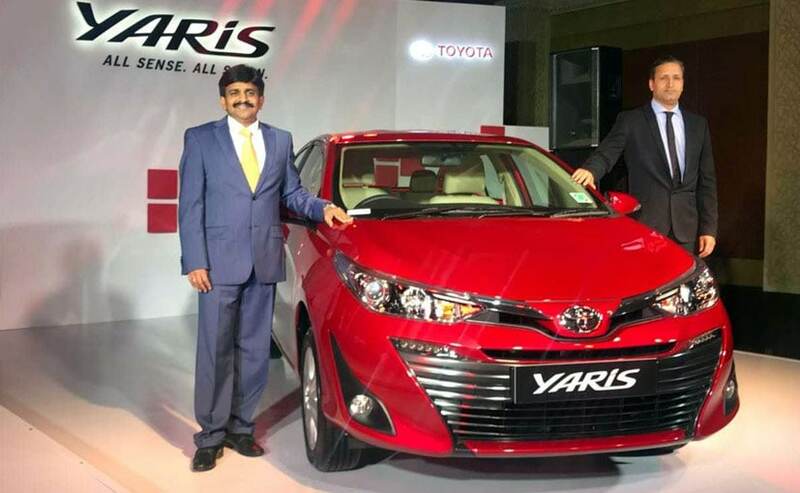 The prices for the Yaris range from Rs 8.75-12.85 lakh (ex-showroom India) for the petrol manual variants and from Rs 9.95-14.07 lakh (ex-showroom India) for the petrol automatics. These of course are introductory prices and we are yet to know till when that's going to last. The initial response to the car, according to Toyota, is very good and orders are pouring in. Deliveries for the Yaris compact sedan will begin from today. In terms of equipment, the top of the line Toyota Yaris offers leather interiors, a touchscreen infotainment system and cruise control. 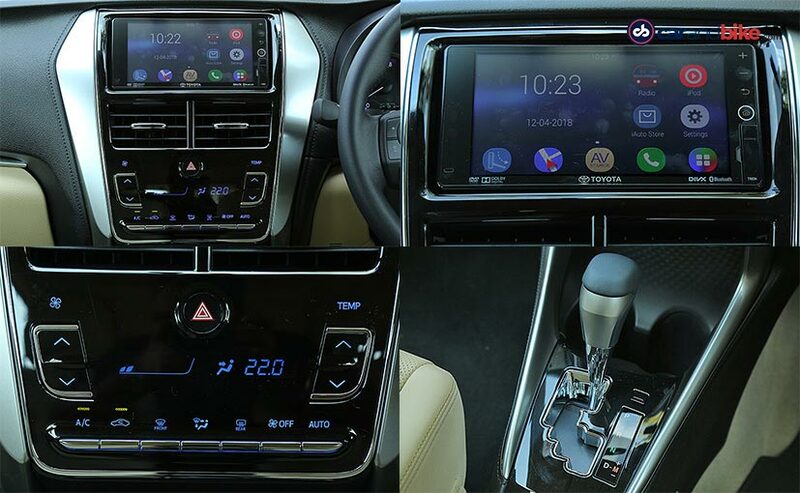 It also offers roof mounted AC vents - a first in class and very useful feature along with inbuilt ambient lighting. The Toyota Yaris also offers features like a start-stop button, automatic climate control but misses out of features like Apple Carplay and Android Auto. 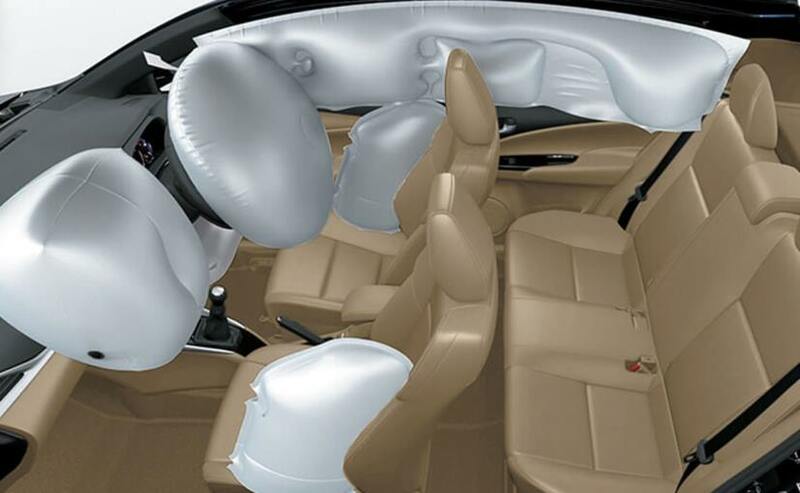 In terms of safety, the Yaris is the best equipped with 7 airbags, ABS and EBD and four wheel disc brakes. The Yaris also gets a rear parking camera and both rear and front parking sensors. The other feature that the Toyota Yaris currently misses out on is a diesel engine. While all its competitors get a diesel motor, the Yaris is only offered with a 1.5-litre petrol engine that makes 108 bhp of peak power and 140 Nm of peak torque. That said, you do get the option of choosing a manual 6-speed gearbox or the Toyota Yaris automatic with a CVT option. The top of the line CVT also gets paddle shifters. 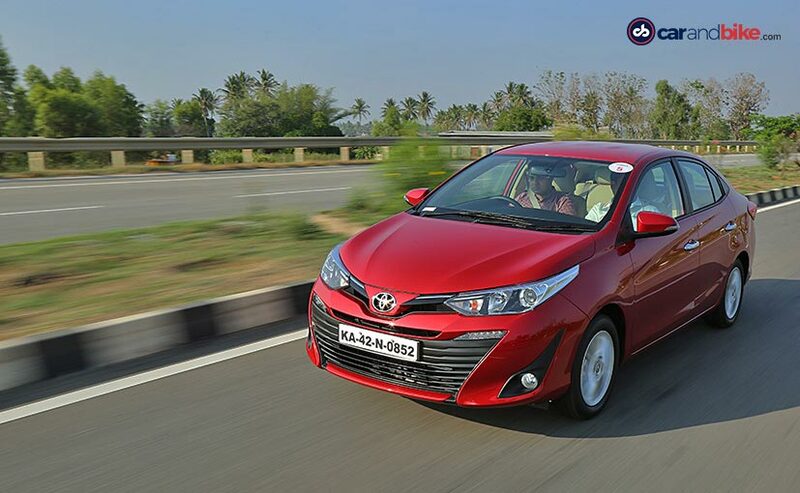 We have already driven the Toyota Yaris (read the detailed review here) and what we can tell you is that we do like the responsive and revvy petrol engine and the comfortable ride quality. We also like how smooth the engine is and how NVH levels are amongst the lowest in this category. That said, the Toyota Yaris is low on power compared to its rivals and that does show on tarmac. In terms of rear seat comfort however, even though the Toyota Yaris does have one of the smallest legspace areas in the back, the seat itself is positioned higher making for a very very comfortable seating position. Getting in and out of the back too is easy and will be appreciated by older customers that are usually chauffer driven.